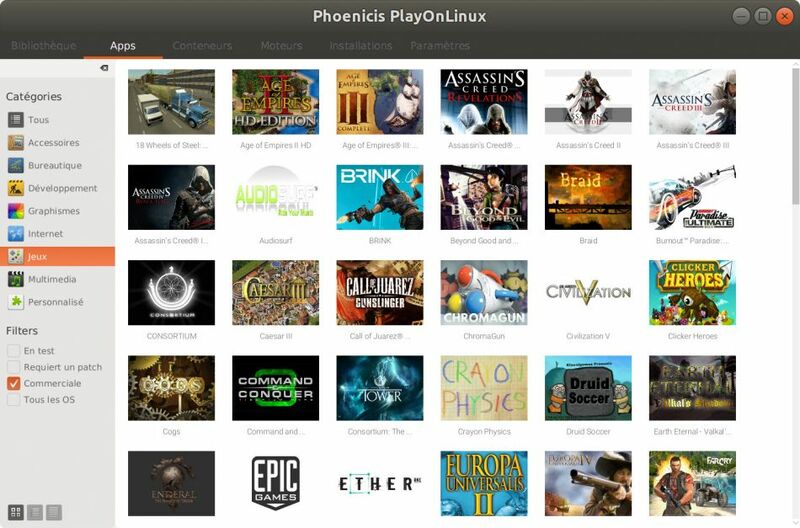 PlayOnLinux, a program which helps Linux users manage games run in Wine has a new release out aimed at giving the project a new life. If you can't run it on Ubuntu 18.04, you're not alone. They seem to be having issues with it not working on the latest Java, hopefully they will solve that in time. For now they're telling people to use Java 8. More info on the issue here and here. See their news post here. Oof... Can't they just join forces with Lutris and produce something that actually works? PlayOnLinux hasn't worked well for me in years since it is so outdated in actual game scripts. Lutris doesn't even manage to install Steam Wine correctly, so that it freezes at startup due to the script somehow messing up the 32/64bit versions. I was kinda hoping POL would go the way of the dodo and more people would join the Lutris project, since that does seem way more promising (partly due to NOT being limited to linux). TheSHEEEP Oof... Can't they just join forces with Lutris and produce something that actually works? But in this case I bet it is java. I used POL for several years, not for their scripts (as for Lutris, scripts are obsolete too fast) but to manage easier Wine prefix and others tweaks/operation. And POL is not limited to Linux, but there is a version for Macosx too. I'm not as sure as you that Lutris is more promising than POL, we have here two big challenger and you don't have to choose only one of them, you can use the two, like I do. I'm glad to see PoL is still alive and, if not kicking, twitching. This project was what opened Wine gaming up for me (almost a decade ago? Sheesh) and has a place in my heart because of that. I've never found much use for its scripts, but it was, and is, an excellent Wine management tool. Kudos PoL people! Aaaah that bring some nostalgia! I do not use PoL anymore but it's the software that brought me back to gaming after my switch to Linux (was not playing games anymore at that time) with support for Diablo III on Linux... About 100 hours of fun with Windows friends before Valve support of Steam on Linux and my switch to "native" Linux gaming only! Quote If you can't run it on Ubuntu 18.04, you're not alone. They seem to be having issues with it not working on the latest Java, hopefully they will solve that in time. For now they're telling people to use Java 8. More info on the issue here and here. Now I know why MediathekView isn't working properly for a few weeks after I'm updating to 18.04.
p/s: Nope, I don't understand German. But, If I wake up Sunday morning and Terrestial TV, Youtube and Vimeo videos not interesting, Mediathekview is my entertainment. how the hell this suppose to work? Great! I always use POL. I like it for the easy management of wine prefixes. In this scenario I do not like to use scripts, all my installations are made and configured manually.